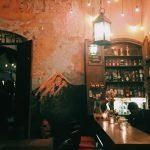 Guatemala is known as Central America’s most diverse country…and that quality definitely applies the variety and quality of restaurants that the colonial gem of Antigua has to offer. 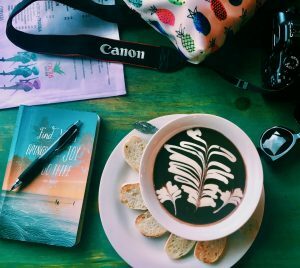 At times, the choices can be overwhelming…so we put together a list of our favorite places so you can spend less time researching and more time eating! Cactus Grill – A upbeat bar and restaurant with lots of flare, Cactus Grill is the place to go if you’re looking for real-deal Mexican cuisine. Friendly bartenders, hard-working staff, and good vibes abound. If you just got off the trek or climbed a volcano this a great place to refuel. We suggest to start the evening off with a refreshing margarita, and highly recommended burritos, shrimp and fish tacos. Bistro Cinq – The setting of this French bistro is almost as intoxicating as the snifters full of after-dinner absinthe…with candle-lit chandeliers, a cavernous dining room and minimalist decor. 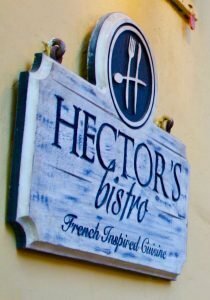 Here you will find classic bistro fare such a Steak Frites, Roast Chicken, Pate, Escargots & Tarte Tatin. They also strive to serve all organic products and support local farmers, fisherman and ranchers. 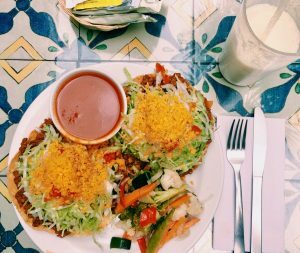 Dona Luisa – That’s a lotta tostada! Dona Luisa Xicotencatl – Conveniently located in the heart of Antigua, pop in for fresh banana bread (hot out the oven at 2PM) and a coffee, or if you’re feeling more hungry go for lunch (their tostadas are massive). 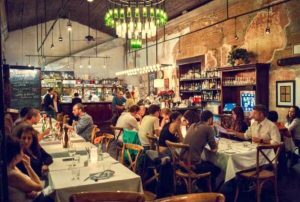 Enjoy the colonial patio, local history recorded on its walls and authentic character that Dona Luisa offers. 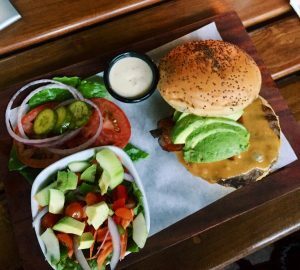 Mono Loco – Hands down the best burger joint in town. Head over to Mono Loco for the big game with the boys or just a drink with friends. The popular sports bar – an Antigua institution since the late 1990’s – is always serving it up with a smile. On Wednesdays you can get their burger special for Q 99 (USD $14), it’s two huge burgers, each with a side. Now that’s a deal. Even bigger appetite? Try their football-sized plate of nachos! There is no doubt that Antigua is a melting pot for both local and international foodies. If you like this post we encourage you to share it on your social media! 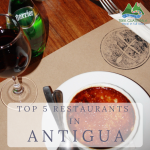 See you at the next popular food joint in Antigua!